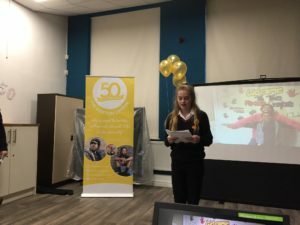 Monday 26th November 2018 saw the start of The Foxton Centre’s 50th anniversary year. 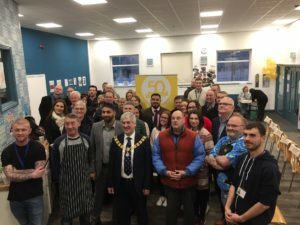 Joining us for breakfast were the Mayor of Preston, council leader Matthew Brown and many councillors, together with representatives of other partner organisations, supporters, volunteers and service users. Star of the show was Bethany, a member of Foxton’s youth group, who wowed the audience before shooting off to school. 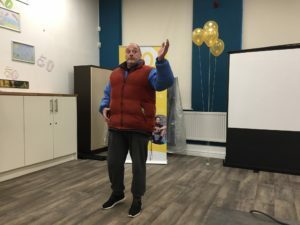 Speaking as a service user, Neil, is shown in the picture giving a wave (just like the queen) to an enthusiastic audience.  Stay posted for a year of activities and events to celebrate our 50th year as a Preston charity.